A fantastic and modern sideboard which will make great use of an empty space in your home. Z Designer furniture is made from solid oak wood. 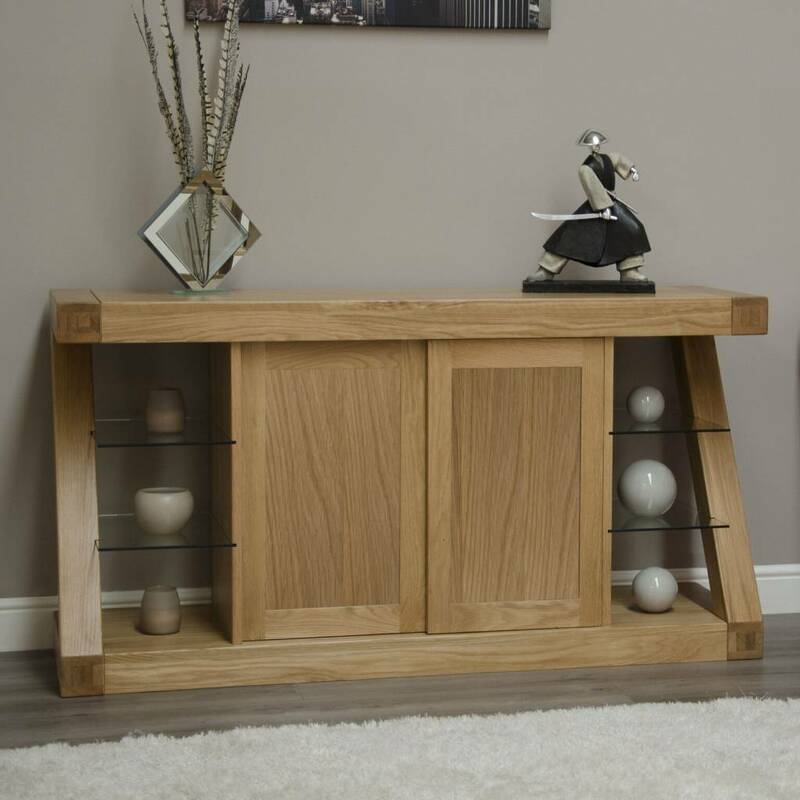 The collection features a chunky oak design with contemporary Z shape. Modern & different. 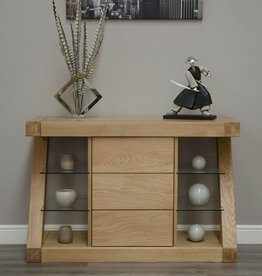 Constructed using traditional techniques from the finest quality European Oak with a light oak lacquered finish. Z designer solid oak hi-fi unit. 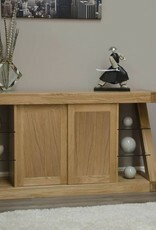 Solid oak tops, square leg profile. 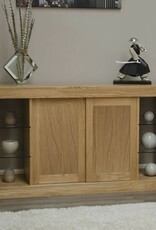 Z designer solid oak small sideboard. 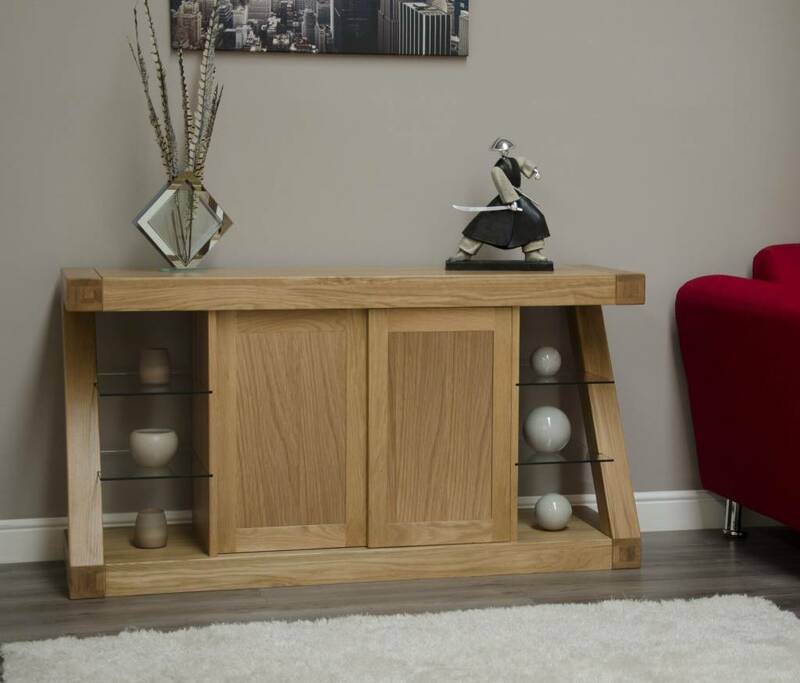 Z designer solid oak large bookcase. Made from solid oak wood.